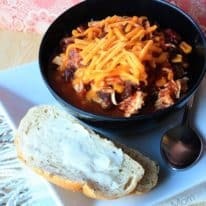 Crockpot Sweet Potato Chili is the perfect meatless chili recipe! Diced sweet potatoes, tomatoes, beans, and spices – be sure to serve this with some yummy cornbread! 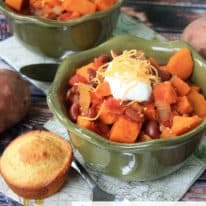 Sweet potato chili is one of my favorite meals to make once fall rolls around! 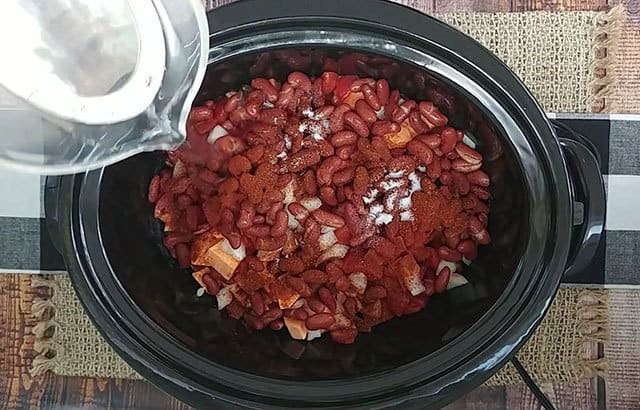 This is a vegetarian recipe with no meat in the chili, but the sweet potatoes tastes wonderfully with the spices, beans, and tomatoes. 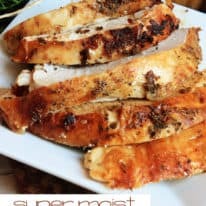 What kind of sweet potatoes are used in this recipe? I just pick up whatever variety is on sale at the supermarket. Of course, if you have home-grown (I’m totally jealous) use those! Just be sure to peel them well. 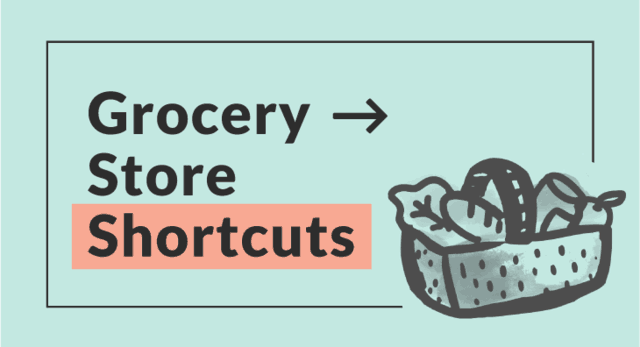 Use a sharp, nonserrated knife to cut sweet potatoes. They can be quite sturdy and thick, which is hard to chop. 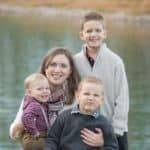 A nonserrated knife is the way to go! 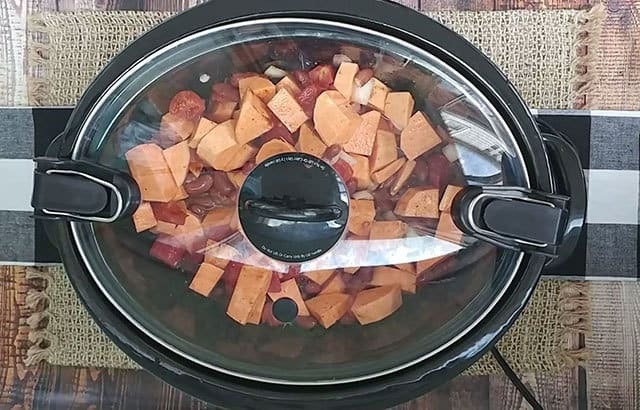 Place chopped sweet potatoes, tomatoes, onions, and kidney beans in the Crockpot. Add in chili powder, paprika, salt, garlic, and water. Stir ingredients and cover to cook. 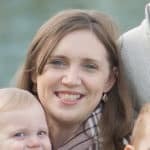 Can sweet potato chili be frozen? 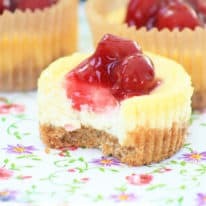 Freeze individual portion-sized leftovers in plastic containers for quick lunches. Allow it to thaw before microwaving until heated through. Freezing before cooking is not recommended for this recipe. Cornbread muffins go perfectly with this chili! 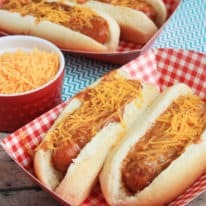 Scoop chili into wraps and dip into sour cream for a fun twist! 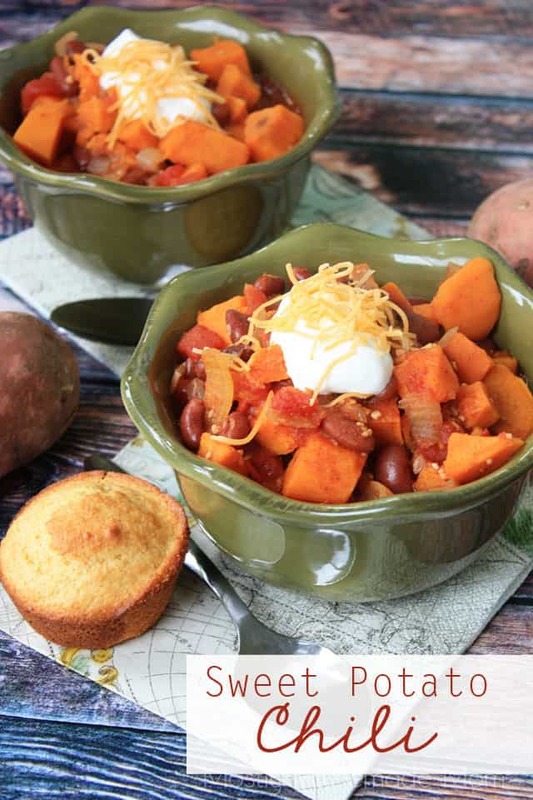 If you liked this recipe for Sweet Potato Chili, leave a rating and a comment below this post! 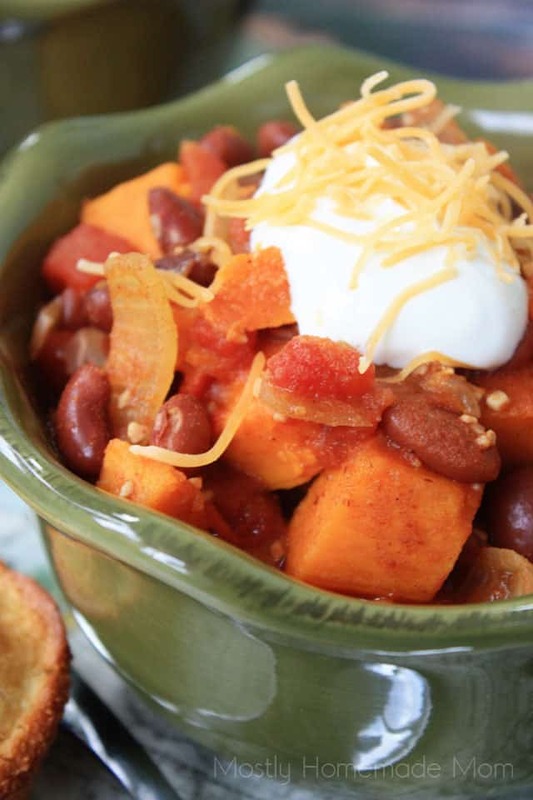 This Crockpot Sweet Potato Chili is the perfect meatless chili recipe! Diced sweet potatoes, tomatoes, onion, beans, and spices - be sure to serve this with some yummy cornbread! 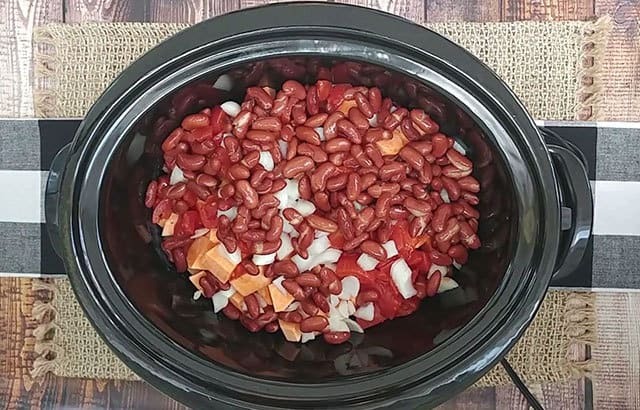 Stir together sweet potatoes, onion, tomatoes, kidney beans, garlic, spices and water in a Crockpot. 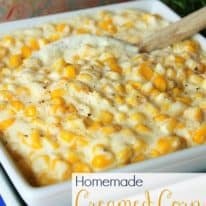 Top bowls with sour cream and shredded cheese.